We collect this information when you visit our website with your computer, tablet or mobile phone (“Computer”). We process personal data in a manner that is in accordance with the General Data Protection Regulation (the “GDPR”), the GDPR-based legislation and the other current privacy legislation. We will not rent or sell your information to third parties outside A Taxi Delft. A Taxi Delft has taken appropriate technical and organizational measures by using the latest technologies to protect your information against loss or unlawful processing. We use safeguards to help keep the information collected through the Service secure. However, A Taxi Delft cannot ensure the security of any information you transmit to A Taxi Delft or guarantee that information on the Service may not be accessed, disclosed, altered, or destroyed. We request you to do your part to help us. You are responsible for controlling access to emails between you and A Taxi Delft, at all times. We are not responsible for the functionality, privacy, or security measures of any other organization. In accordance with the law, A Taxi Delft does not retain data any longer than is required for attaining the purposes for which they were collected. If you wish to know which of your data A Taxi Delft has recorded or if you wish to amend or remove data that you cannot amend via your account, please contact A Taxi Delft. No more searching for a phone number of a taxi company in Delft! It is safe, simple and fast! 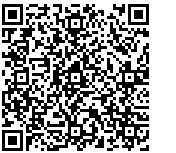 Scan this QR code image with you mobile phone to add the contact information of A Taxi Delft to your phone.